Downtown Cary Food & Flea: A great Day! I spent the afternoon with Frank Lazzaro at the Downtown Cary Food & Flea. We made a deal … I wear one of his “Friends of Cary” t-shirts and I could sell my book at this table. I took him up on the offer. From what I see, Friends of Cary tries to do some good things; providing dog poop bags in several local park areas and lobbying for good maintenance at the Godbold Dog Park where Sophie and I go regularly. Anyway, we set up in the plaza and stayed several hours. It was hot, but there was still a decent crowd steadily moving through. 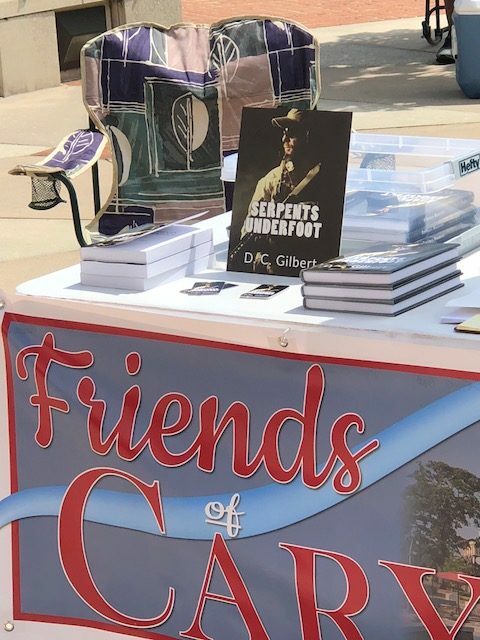 And, I even sold a few books! I got to talk with a bunch of great people. For lunch, had some pretty darn good Korean food from a food truck, and later kept cool with a lemon aid slushy that really hit the spot. There were several people from the Godbold Dog Park there enjoying the activities as well. While there, I sampled and later went home with some awesome Cranberry / jalapeno jam from Turtle Creek that was absolutely fantastic and a bottle of a peach Chardonnay I had sampled made by Sweet Carolina Winery. A personal highlight for me was that I sold and autographed a few books which was certainly a nice added benefit! Several people took business cards. Getting the exposure is certainly a good thing for a new author trying to get his name out there! An additional highlight was meeting and talking with a fellow author, Leonard M. (Mike) Scruggs. 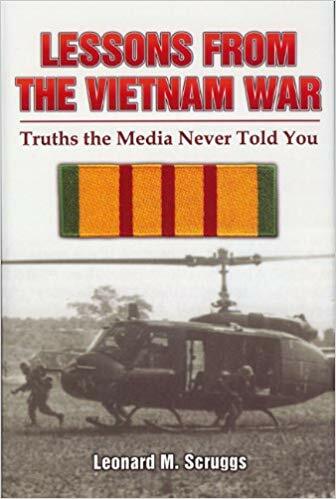 Leonard M. Scruggs, an Air Force veteran who served eight years during the Vietnam War is the author of LESSONS FROM THE VIETNAM WAR: Truths the Media Never Told You. This is a book I will certainly be reading sometime in the not too distant future! It is available on Amazon.com. At that moment we had an Air Force vet, a Marine Corps vet and an Army vet all at the same table talking, It was pretty nice! Looking forward to future Downtown Cary Food & Flea events! There were many arts and craft vendors, food booths, a gourmet dog biscuits both, and live music, And of course, the Bond Brothers Brewery had a booth set up as well. Many people were walking their dogs and several booths had water bowls present for their canine visitors. Despite the heat, it was a great day and I am looking forward to doing it again! Sounds like a wonderful day. Congratulations on selling some books and successful networking. Thanks! It was a good day. Every little bit helps!